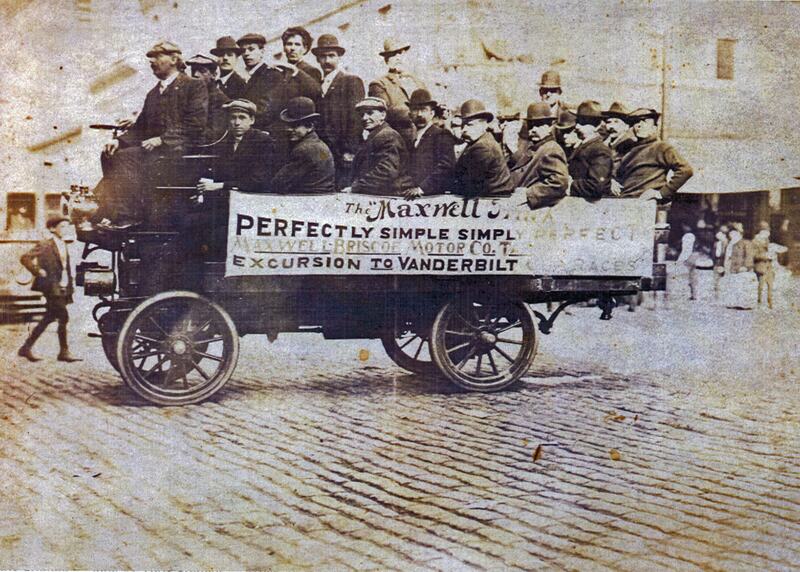 This "perfectly simple, simply perfect" Maxwell truck brought these men to the 1906 Vanderbilt Cup Race. Another group of spectators on their way to a Vanderbilt Cup Race. Can anyone identify the vehicle and the most likely year the photo was taken? There is a clue in the photo. Could the clue be the spectators or something about the vehicle? 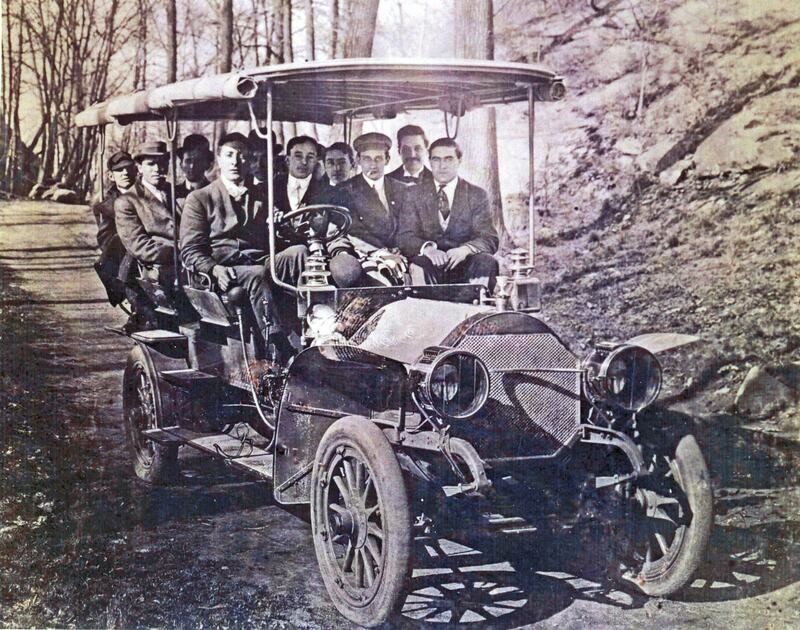 The bus seems to be a Locomobile with a miniature Vanderbilt Cup on top of the radiator, a commemoration of Locomobile winning the Vanderbilt Cup in 1908. The year of the photograph must be at least 1909, as these mascots came available in this year. From 1910 onwards the Locomobile radiator had a flattened top, so 1909 seems to be the most probable year of the photograph (though 1910 cannot be ruled out of course). Noticeable is the straight front axle, uncommon for Locomobiles (which always had bent front axles), but maybe this gave the axle higher strength? Doesn’t the Loco firetruck in the linked photo set have a straight front axle, as well? Mayhap the heavy-duty vehicles had such.